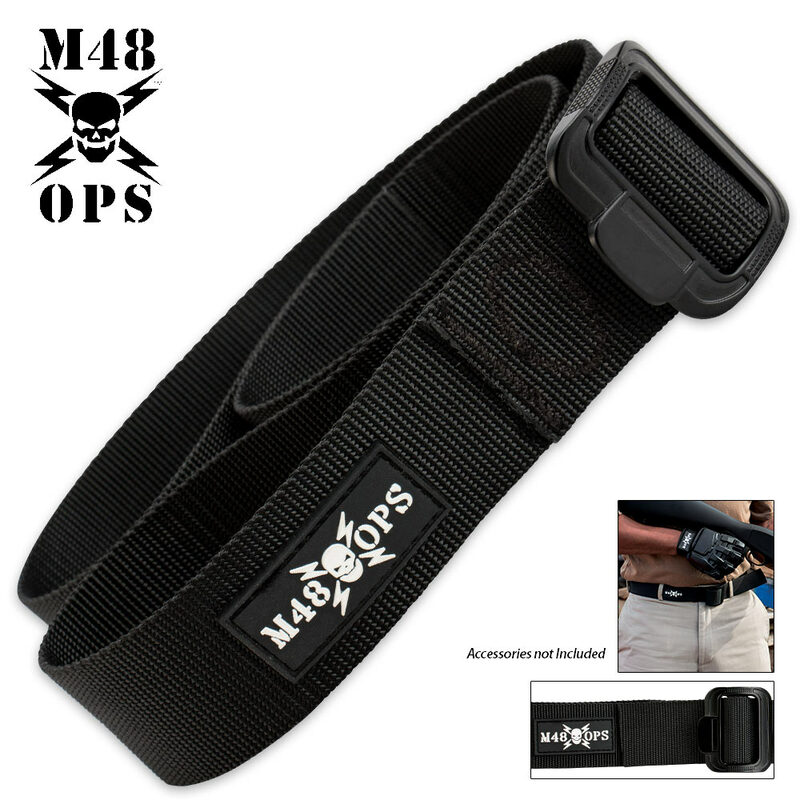 M48 OPS Nylon BDU Belt | BUDK.com - Knives & Swords At The Lowest Prices! This M48 OPS BDU Belt is constructed of high quality nylon for a durable, long-lasting addition to your wardrobe. It has a sturdy metal buckle that will keep the belt securely in place. The belt is 1 1/2" wide and will fit up to a 38" waist. Available in tan, black and OD.